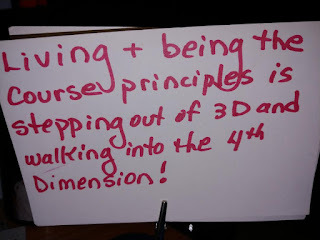 Living and being the Course principles is like stepping out of 3D and walking into the 4th dimension. It felt a little like those "aha" moments many speak about. 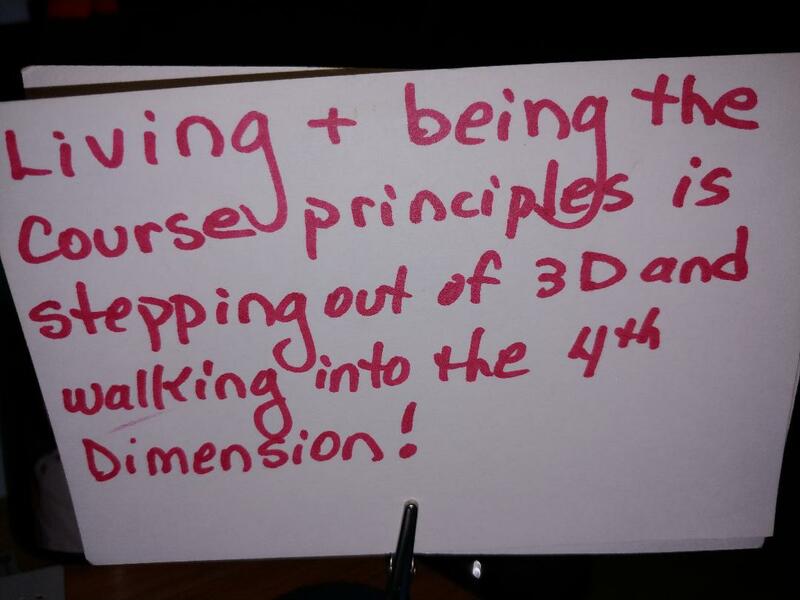 I wrote it down on an index card and it sits on my desk as a reminder. I see it everyday while I'm working on my computer; I may forget this for a while when I walk away, but each day I feel this more and more to be true. There are many other paths to awakening to our True Self other than A Course in Miracles. They all can lead us to Truth (within), towards our innocence, peace, power and light, and so we may share it with other souls. Peace, love and joy are states of being that we are meant to be our experience, but we have been led to believe otherwise, that we are somehow guilty, weak, victims...and as we believe, so we live this way. A true spiritual path will present us with new concepts that open our minds to our our true state of being. As we thirst for truth, we can begin to trust and practice these principles and have a new experience. I believe this is what we all want....to return Home.